The Bay - in UK cinemas this weekend. Just a reminder that ecological horror "The Bay" is out at selected UK cinemas THIS weekend (1st March). When two researchers find a staggering level of toxicity in the water at the small coastal town of Chesapeake Bay, Maryland's, they attempt to alert the mayor, but he refuses to act, rather than create a panic. As a result, a deadly plague is unleashed, turning humans into hosts for a deadly, mutant breed of the parasites. The film follows the subsequent chaos that ensues as the authorities seal off the town as the entire population slowly becomes infected by the aggressive creatures. The film stars Kristen Connolly (Cabin in the Woods), Christopher Denham (Shutter Island) and is directed by Barry Levinson (Sphere, Sleepers). 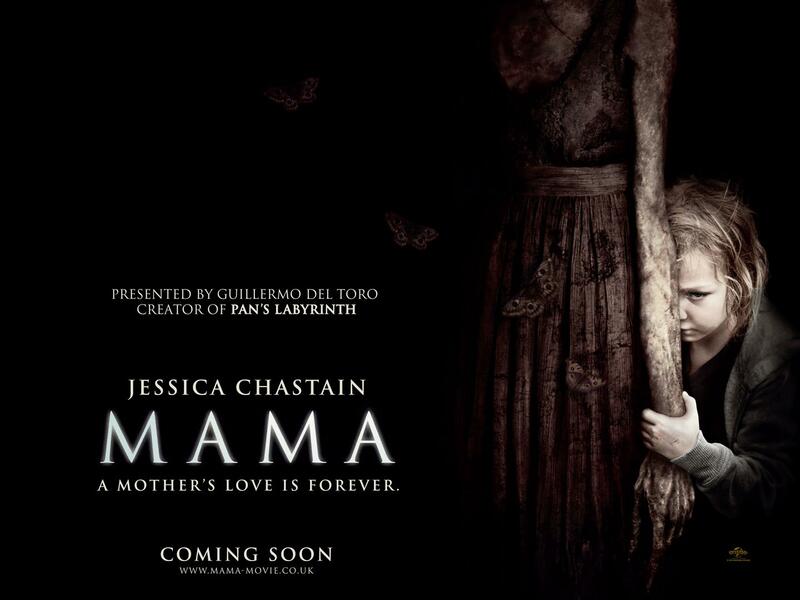 So I went to see “Mama” the other night, which as you probably know has been produced by Guillermo del Toro. Now the plot for this one concerns 2 young girls, who are snatched by their disturbed father and driven out to the middle of nowhere. They come across an old cabin, where it seems he’s going to do some harm to them, but he’s stopped at the last moment by some unseen force. Some 5 years later and the girls are found, still alive, but living in a feral state and are eventually placed in the custody of their hipster uncle and his reluctant girlfriend as they try to adapt back to normal life. However it seems these girls may have had someone helping to keep them alive during their years in seclusion and whatever it is may have followed them back, as the girls exhibit strange behaviour and strange occurrences happen round the house. Overall I really enjoyed this, there was some good jump scenes and some clever use off photography showing that someone else is probably in the house with them, without showing what it actually is. The only negative thing I would say is that some of the CGI towards the end looked a bit cartoonish and I was left a little confused by the ending. If anyone else understood it and would like to explain it to me I would be more than happy to hear from you. But again, overall this was an enjoyable film. If you liked Sinister or The Pact, you should also enjoy this. Mama is in UK cinemas now. Zombie Run - A short film to promote a charity event! Safehouse Pictures (UK), the guys behind upcoming "The Eschatrilogy" (see my review HERE), have produced this rather fun short little film to promote the upcoming "Zombie Run" charity event this October, in aid of Barnsley Hospital Charity. zombie run safehouse cut from safehouse pictures UK on Vimeo. Now i'm sure many of you will remember a rather amusing Irish zombie film from a few years back called "Dead Meat"? Well director Conor McMahon is back with a new comedy horror, "Stitches", starring comedian Ross Noble, and I managed to blag myself a copy to review. Set in Ireland, Noble plays a foul mouthed children's party entertainer named Stitches the Clown, who has an unfortunate accident with a carving knife whilst trying to keep some unruly young brats entertained at young Tommy's birthday party. Also starring Tommy Knight (Doctor Who/Sarah Jane Adventures) and Gemma-Leigh Devereux (Casualty/The Tudors) overall I liked this one, Noble is aptly cast as the foul mouthed Stitches, who kind of reminded me of Captain Spaulding from "House of 1000 Corpses/Devils Rejects" and there was some genuinely funny scenes, though I did find some of the comedy a little hit and miss in places, as I'm not really into "Inbetweeners" style teen-humour. But the film more than made up for this with Noble's sleazy performace and the spectacular graphic excesses, which include someone getting their eye gouged out with an umbrella, in a scene that would put a Fulci film to shame, and another unfortunate sole having his entrails ripped out and fashioned into balloon animals. Now the disc I was sent was a review copy, which was devoid of extras. No news on what extras will be included on the retail release (if any). So to sum up, I'd advise checking this one out, though it's definitely not a film I would recommend to people who suffer from coulrophobia (that's fear of clowns). The film is released to UK DVD and Blu-Ray March 4th from Kaleidoscope Entertainment. Not sure if this is strictly horror, but it's a psychological thriller from the director of Oldboy, so I guess that's close enough. Anyway, just a reminder that the film "Stoker", starring Nicole Kidman is coming to UK cinemas this March. After India's (Mia Wasikowska - Lawless) father dies in an auto accident, her Uncle Charlie (Matthew Goode - Watchmen), who she never knew existed, comes to live with her and her emotionally unstable mother (Nicole Kidman). Soon after his arrival, she comes to suspect this mysterious, charming man has ulterior motives, but instead of feeling outrage or horror, this friendless girl becomes increasingly infatuated with him. 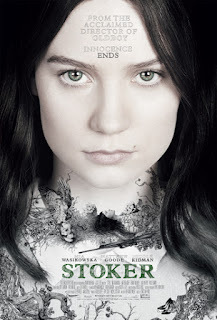 Directed by Chan-wook Park (Oldboy), "Stoker" is released in UK cinemas 1 March 2013 from Fox Searchlight UK. Checkout the trailer on YouTube. 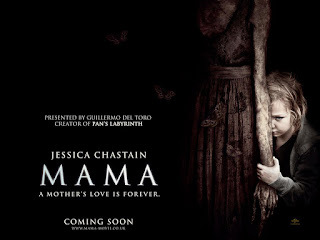 Checkout the trailer for Guillermo del Toro's new supernatural thriller Mama, which is out in UK cinemas this weekend. Horror Channel, FrightFest & Movie Mogul launch nationwide search for new filmmakers. Can you make a short film that can cut it in hell? Have you got some killer ideas? FrightFest and Movie Mogul, in association with Horror Channel, are challenging aspiring filmmakers to make a short horror film - the best six of which will be shown on Horror Channel and at the 2013 Film4 FrightFest event. 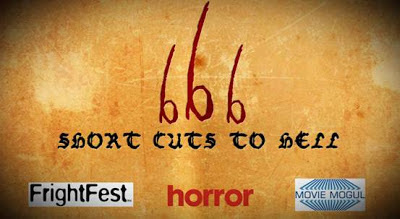 The overall winner will receive a prize fund of £6,666 and the opportunity to develop a horror short or feature idea under mentorship from Movie Mogul, for a possible 2014 production. 666 Short Cuts To Hell is no ordinary film competition though. Entrants will have to follow a series of 'killer' restraints such as a maximum of 6 lines of dialogue, a maximum of 6 cast of and crew members and a maximum budget of £666. Chris Sharp, Chief Operating Officer for CBS Chello Zone Channels, commented: "Horror Channel has a rich history in supporting new film making talent through Directors' Nights, new talent seasons, its FrightFest Short Film Showcases and Horror Club. We're looking for the next talent which we will support with on air exposure and undoubtedly feedback from our loyal viewers. We know there are many keen filmmakers among our audience - this is their chance to get their work in the spotlight and get noticed by the UK film industry." John Shackleton, M.D of Movie Mogul said: "In the current technological HD/digital climate, it really is possible to make just about anything, and new entrant filmmaking is a level playing field. Now is the perfect time and opportunity to uncover new talent with big ideas, who just need that little nudge to really get going. Horror is a fantastic genre in which to cut teeth and sharpen skills because it is historically more of an ideas-driven genre, that doesn't necessarily require big name stars to break through". 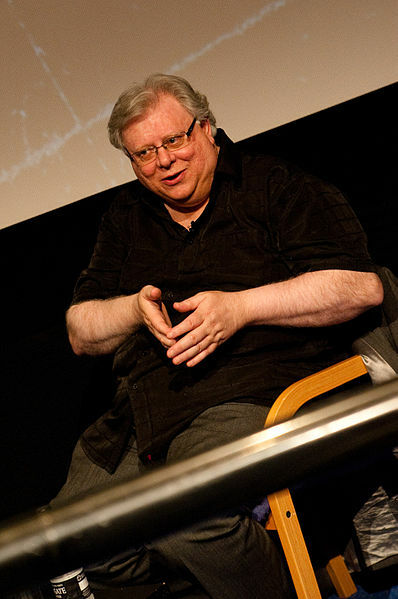 Paul McEvoy, co-director of FrightFest added: "We want filmmakers of all kinds to take up the gauntlet and entertain horror audiences with some bold, fun and original ideas. An army of inspired filmmakers all equipped with the same limitations of genre, budget and duration, should really make for a very exciting competition!" Entrants must submit their completed film by 6pm on the 6th June 2013. The overall winner will be announced at FrightFest 2013 after the six films have been screened. The full jury will be announced in due course, and will include: Horror Channel presenter Emily Booth, FrightFest director Paul McEvoy, Movie Mogul’s John Shackleton and filmmaker/Special Make-up Effects expert Paul Hyett. Scanners, one of the most iconic horror films of the eighties from legendary director David Cronenberg (Cosmopolis, A History of Violence, The Fly), comes to UK Blu-ray for the first time in a highly collectable limited edition steelbook thanks to Second Sight Films. 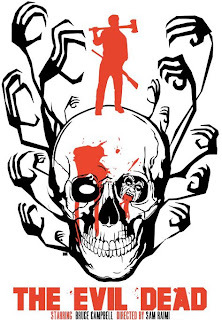 Drifter Cameron Vale (Stephen Lack - Dead Ringers) is plagued by incessant voices in his head, not realising he is a Scanner - a person with extraordinary powers, who can not only read minds, but can literally tear them apart. He soons encounters Dr Paul ruth (Patrick McGoohan - The Prisoner), a scientist trying to help his kind adapt to society. But another underground movement of scanner lead by Derryl Revok (Michael Ironside - Total Recall, Starship Troopers) have other intentions and the ultimate confrontation of minds awaits. Scanners II: The New Order and Scanners III: The Takeover will also be released for the first time on UK Blu-ray only as single releases on 8 April 2013. Stitches comes to UK disc this March!!! 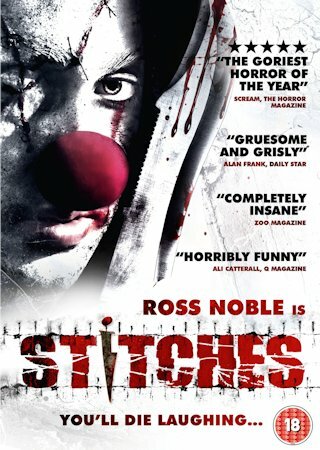 STITCHES, starring funny man ROSS NOBLE, and directed by CONOR MCMAHON (Dead Meat) is the black-comedy horror that has become one of the most talked about films of 2012. Jaded Richard Grindle (Noble) is the sleaziest clown working the children's party circuit in Ireland. Arriving late to one birthday, his timing is off, the bratty kids a nightmare and a prank goes horribly wrong - he falls on a kitchen knife and goes to that Big Top in the sky. Laughs and gore combine in this twisted tale which also sees some fantastic performances from its young and upcoming cast that includes; TOMMY KNIGHT (Doctor Who) and GEMMA-LEAH DEVEREUX (The Tudors). 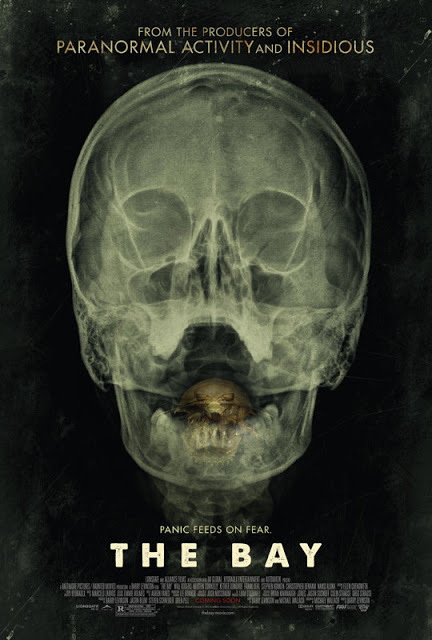 The film received its World Premiere at 2012s Frightfest, winning TOTAL FILMs Best Death award. See why when the DVD & Blu-ray hit shelves on 4th March 2013. 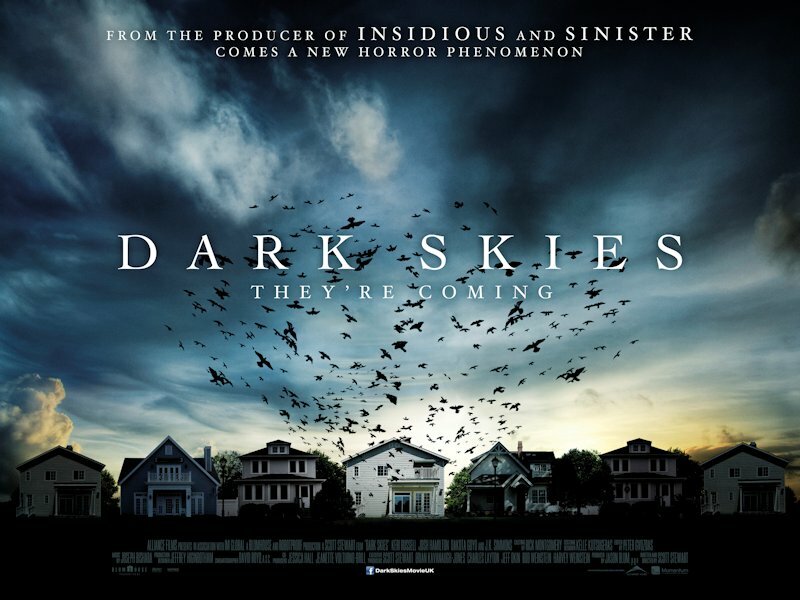 Momentum Pictures are pleased to make available the new UK Poster for the upcoming supernatural thriller - DARK SKIES! The film hits the silver screen on 5th April, DARK SKIES comes from the producer of Paranormal Activity, Insidious and Sinister and stars Keri Russell (Mission: Impossible III), Josh Hamilton (J. Edgar), Dakota Goyo (Real Steal) and J.K Simmons (Spider-Man). Kaleidoscope to release "The Seasoning House". 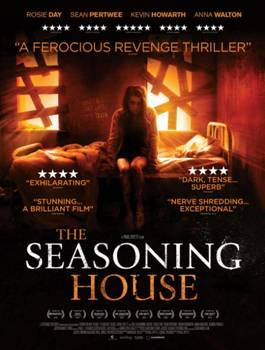 Revenge thriller THE SEASONING HOUSE is the highly anticipated directorial debut from British special effects maestro, PAUL HYETT (The Woman in Black, Eden Lake, The Descent). Having made its much awaited premiere at the opening of FRIGHTFEST 2012 to critical acclaim THE SEASONING HOUSE is a dark, gripping exploration of a young orphaned girl's psychological terror. .
Set in the war-torn Balkans, The Seasoning House is a grim and soulless place where young girls are bought and sold for men's pleasure. Here we meet Angel (ROSIE DAY), a young, mute, orphaned girl enslaved by Viktor (KEVIN HOWARTH). Unbeknownst to her master, she moves between the walls and crawlspaces of the house silently observing, learning and planning for her escape. When her closest confident is savagely killed, Angel can no longer contain her rage and sets out through both ingenuity and brutality to seek justice. The film stars British newcomer ROSIE DAY (Ironclad 2) in the lead role of captive Angel, and with support from SEAN PERTWEE (Dog Soldiers) KEVIN HOWARTH (The Last Horror Movie) and ANNA WALTON (Hellboy 2) and will be released to UK DVD this June. Maniac hits UK cinemas March 15th. Cult movie director Michael Armstrong lured out of retirement. After years of rumours and speculation by his fans, cult horror movie legend Michael Armstrong has finally been lured out of retirement by Paper Dragon Productions to direct his first major feature film for over forty years. Following his 1970 genre classic, Mark Of The Devil, which shocked audiences and broke box office records worldwide, fans will be delighted to learn that Armstrong is to direct his much anticipated screenplay Orphanage. Described as a sociological suspense shocker, a complete veil of secrecy has now been thrown around the project as it heads into immediate development. Written and directed by Michael Armstrong, Orphanage will be produced by Paul Horsfield and Jonathan Jones, with Neil Jackson and Kevin James executive producing for Paper Dragon Productions. The nice folk at Arrow films sent me another one of their Mario Bava Blu-Rays to review, so it was back round to friends house to use his Blu-Ray player (and liberate more of his chocolate biscuits). Black Sunday, also known as the Mark of Satan, marked Mario Bava’s official directorial debut, having previously worked as a second unit director on several other features, as well as doing uncredited work on several others. Set somewhere in Eastern Europe, horror scream queen Barbara Steele as a young maiden named Asa, who was burned at the stake during medieval times, after her own brother accused her of being a witch. Flashing forward to the 19th century and a couple of Gentlemen travelling through the forest, close to where the old village was, are forced to stop, when one of the wheels on their carriage is damaged. Whilst the driver attempts repairs, the two wander off and find the ruins of an old crypt near by. Going inside they discover the decomposed body of Asa in a coffin, but when one of them accidentally cuts his hand and drips blood onto the corpse, she is brought back to life, and begins to wreak a bloody revenge on the descendants that put her to death. Filmed in Black and White, the film does look somewhat dated these days and does get a little confusing in places, as Steele plays 2 roles in the film, that of the Witch Ava and also the role of Katia, who’s the daughter of one of her family’s descendants. Released in 1960, it was considered quite shocking for it’s day, which resulted in the film being censored for its original US release and banned in the UK up until 1968. This release by Arrow is of the full uncut version of the film and gives you the choice of listening to the original English dialogue, or the alternate US dub of the film, which used different voice over artists and had a different score. You also get the Italian version of the film which is slightly longer, and contains the original Italian language dub with English sub-titles. Extras wise, the disc is chock full of extras, including an introduction by noted horror critic Alan Jones, a feature length commentary by Bava biographer Tim Lucas, an interview with actress Barabara Steele, which for some reason is in Italian, with English subs, whoch is kind of odd considering that she’s British. There’s also a deleted scene of Katia and Prince Vajda, which only appears in the Italian version, 2x theatrical trailers and a TV spot. 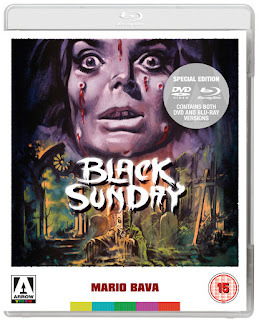 And if all that wasn’t enough, the disc also includes a bonus film, Vampiri which was the first film Bava worked on as an unofficial director, after original director Ricardo Freda walked off set, which also happened to be the first Italian horror film in sound, and there’s a reel of almost an hours worth of trailers for other Mario Bava films. A cracking selection of extras, for such an obscure film. 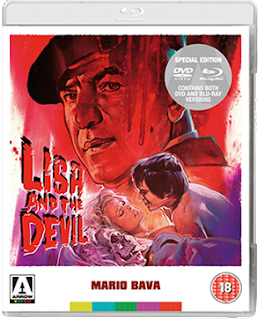 The film is released in a dual format combo-pack, containing the Blu-Ray and DVD versions of the film and much like Arrows “Lisa and the Devil” release, is an essential purchase for fans of Mario Bava’s earlier works. RETURN OF THE LIVING DEAD PART 3!!!!!!! Great news, it has been confirmed by the BBFC that the new film "MANIAC", starring Elijah Wood, has been passed uncut in all it's gory glory with an 18 certificate for its upcoming UK cinema relase this March. We warned you not to go out tonight. Just when the downtown Los Angeles streets seemed safe, a serial killer with a fetish for scalps is back on the hunt. Frank (Elijah Wood) is the withdrawn owner of a mannequin store, but his life changes when young artist Anna (Nora Arnezeder - Safe House) appears asking for his help with her new photo exhibition. As their friendship develops and Frank’s obsession escalates, it becomes clear she has unleashed a long-repressed compulsion to stalk and kill. From producers/writers Alexander Aja and Gregory Levasseur (THE HILLS HAVE EYES, MIRRORS, PIRANHA 3D) and director Franck Khalfoun (P2), this remake of the original 1980 shocker is a stylized and technical triumph, with a nerve-shredding Argento tribute score.– the entire movie is shot from the killer’s point-of-view. The film premiered at this Cannes Film Festival Official Midnight Screening selection. The film is released to UK cinemas March 15. Arrow films were nice enough to send me a copy of their new release of Mario Bava’s “Lisa and the Devil” to review on Blu-Ray. Sadly, I am one of the few movie lovers that has yet to invest in a Blu-Ray player, which made watching this a little troublesome. But fortunately, a good friend of mine allowed me to pop round whilst he was out and watch it on his set-up (though considering I polished off the last of his chocolate biscuits whilst I was there, I doubt he will allow me to do so again). But anyway, “Lisa and the Devil” is probably one of Mario Bava’s more infamous films, as it was previously only available in a heavily re-edited version entitled “House of Exorcism”, which had newly shot scenes that totally altered the context of the entire film. This release from Arrow contains both Bava’s original cut of the “Lisa..”, and the re-edited version, which are selectable from the main menu. The original cut of “Lisa and the Devil” stars Elke Sommer (who “Carry On..” fans may recognise from “Carry On Behind") who gets lost whilst looking round some quaint Italian village.She bumps into Kojak, sorry Telly Savalas, complete with his trademark lollipop, who she asks for directions. But still fails to find her way back. Accepting a lift from a rich couple, who offer to drop her back at the hotel, their car unfortunately breaks down outside Telly Savalas’s mansion, who invites them inside whilst the chauffer attempts repairs. But it seems there’s something sinister about the family living there, as the people in the group start getting bumped off by them. This was a very surreal “arty” film, and it was a job to know at times what was going on, or why. I also found the ending rather odd (which I won’t spoil for you) but it did make me wonder what it was I had just been watching. The alternate cut of the film, “House of Exorcism”, starts off the same, except Elke Sommer manages to find her way back to the town centre this time, but THEN suffers a seizure after meeting Telly Savalas and is taken to hospital, where the local priest finds that her problem is spiritual, not medical, and attempts to perform an exorcism. The surreal scenes of her getting lost and winding up at Telly Savalas’s mansion in this are shown as being all in her mind whilst she’s undergoing the exorcism. Apparently the reason Bava cut this version of the film together was no one was interested in picking up the original version for distribution, so he tried to cash in on the success of “The Exorcist”. This is the first time that either version of this film has been available on Blu-Ray here in the UK and Arrow have spared no expense chocking the disc full of extras. As well as getting 2x versions of the film, you get an accompanying introduction to each version by noted Horror journalist Alan jones. There’s 2 different audio commentary tracks, one with Bava biographer Tim Lucas, which accompanies the “Lisa…” version of the film and one with Producer Alfredo Leone and star Elke Sommer that accompanies the “House of Exorcism” version. There’s also a making-of retrospective documentary, featuring interviews with many of the cast and crew members, a rough cut trailer for “Lisa and the Devil”, along with 2 trailers and a TV spot for “House of Exorcism” and a deleted scene, which is actually a more explicit take of the love scene between Gabrielle Tinti and Silva Koscina. The film is released in a dual format Blu-Ray/DVD combo pack (good news for those like me who do not yet own a BD player) and is definitely a must for Bava fans. [REC] director Jaume Balaguero says “Hola Hitchcock” in this scary and darkly unsettling psychological horror thriller. Unassuming Cesar is janitor at an upscale apartment block in Barcelona. However, his quiet politeness hides a much more sinister personality. His current obsession is Clara, the new cheerful tenant on the fifth floor. Provocative and intense, with Spanish superstar Luis Tosar delivering a sensationally disturbing performance, the growing tension, clever twists and startling chills will keep you biting your nails. The film is getting a limited release to UK cinemas on March 1st, followed by a DVD release on March 4th. Have you ever felt you needed to just bury your guilt? Literally... 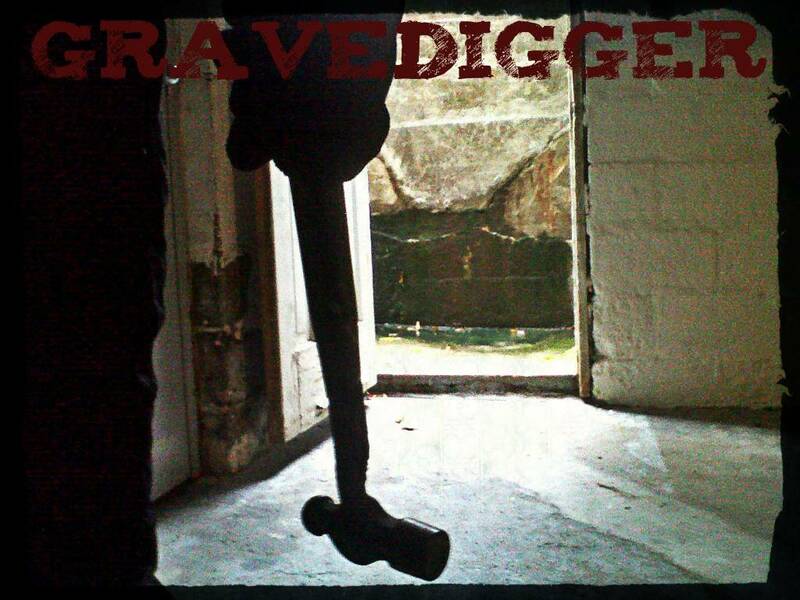 Currently filming, is 2013’s most gruesome tale of fear & fright "Gravedigger". A sinister collaboration between the minds of Award Winning Actor Keith Collins, Doug Bollinger (“Waltzing Anna”) , Brandon Ruckdashel (“Co-ed Confidential”) and from the eerie ink of NY Emmy Award Winning Writer Joseph Pepitone & Billy Pepitone (“Stuck in the Middle”), comes a horrifying shock fest that will keep you on the edge of your seat and the brink of insanity throughout a terrifying journey of paranoia. “Gravedigger” tells the story of Steve Borden who is a brilliant, young criminal defense attorney. As junior partner in a local, high end law firm, he makes his living defending the indefensible. When a case gone horribly wrong haunts him, Borden’s conscience begins to send him into a guilt-ridden spiral. Police Chief George Orkin is the town’s top cop. With more bodies turning up buried, District Attorney Mike Ruble suspects Orkin’s ties to crime boss Charles Muzzatti may be the answer to the case. Now, Orkin must deal with his own eroding sense of integrity to keep both sides of the law off his back. As paranoia rises and Borden, Orkin, Ruble & Muzzatti try to pin the murders on each other, could another, more sinister force be hunting them? Codes, morals and misguided views of justice collide when the law, the mob and the Gravedigger face off in a bloody battle that will darken the survivor’s souls forever. But will burying the guilty, bury the Gravedigger’s own guilt? Directed by, Doug Bollinger (“Waltzing Anna”,”Mail Order Bride”). Produced by, Keith Collins and Written by, Joseph & Billy Pepitone. The film features a well-rounded cast including : Ron “Bumblefoot” Thal (“Guns N Roses”), Brian McRae (Former “NY Met”,”KC Royals”), Billy Sample (Former “NY Yankee”), Paul Grassi (ABC’s “The Mole”) & the iconic Mason Reese. Resident Evil : Retribution - a UK DVD/BD review. 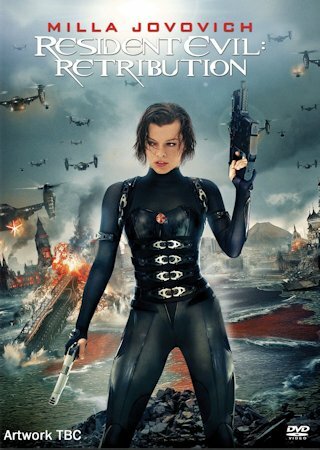 "Retribution", which is the 5th film in the series, starts off pretty much where "Afterlife" left off, in which we see Alice (Milla Jovovich) being captured by the Umbrella Corporation and taken to one of their last remaining headquarters. Breaking out of her cell, she has to fight her way past numerous Umbrella soldiers, hordes of zombies and various other monsters in the company vaults that have been mutated by the T-virus, as she attempts to make it back up to the surface. If you’ve seen the previous films, you’ll know what to expect as various bad guys and monsters get repeatedly shot. There's some interesting new zombies as well, you've heard of 'Nazi Zombies'? Well this film has 'COMMUNIST Zombies', which drive jeeps and fire machine guns and rocket launchers, which was kind of interesting. Sienna Guillory is back as Jill Valentine and I was surprised to see many of the characters from the previous films turning up again, but in different roles. Including Colin Salmon, who was in the first film, as we find that Umbrella have been cloning their staff. Dr Weskers back (Shawn Roberts reprising the roll from the previous film), though he seems to be fighting against the Umbrella Corporation this time, and the film also introduces another couple of characters from the Resident Evil game series, Ada Wong (Bingbing Li) and Leon Kennedy (Johaan Urb - 2012). Now, I'm aware that the "Resident Evil" films often polarise opinions, however this one is definitely a marked improvement over the previous 2 entries and is actually quite a good action movie. 2D version of the film, Director and Cast Commentary, Director and Producer Commentary, Drop (Un)Dead: The Creatures of Retribution (making-of feature), Outtakes. 2D version of the film, Deleted & Extended Scenes, Six featurette, Project Alice: The Interactive Database and all of the Special Features from the DVD version. Disc 2: Six making of featurettes, Project Alice: The Interactive Database, and all of the Special Features from the DVD version. Buy the UK 3D BD at Amazon.co.uk. Buy the UK BD at Amazon.co.uk. 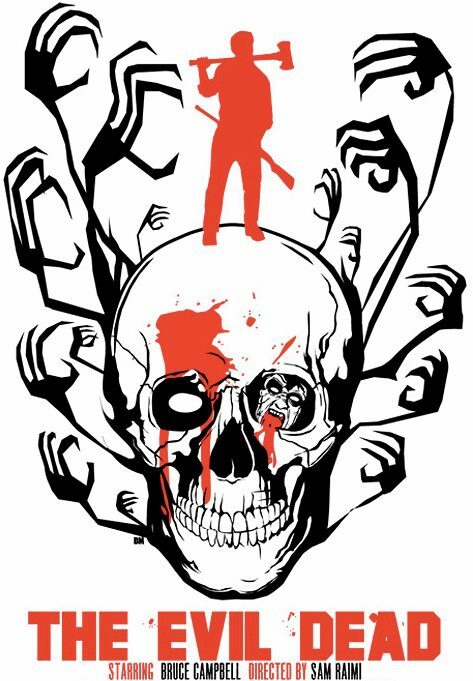 Checkout the trailer for "I Didn't Come Here to Die", which comes to UK DVD on the 15th April from Second Sight films and is being eagerly described as "One of the Best Horror Film debuts since The Evil Dead". Vampire show "Ultraviolet" comes to UK DVD. Fans of the cult British vampire show "Ultraviolet" will be pleased to hear that Medium Rare entertainment have picked up the DVD rights to the series and will be issuing it on disc this March. 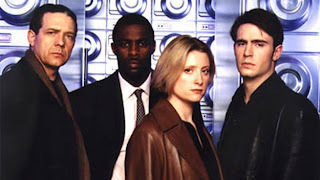 The series originally aired on Channel 4 to rave reviews in the late 1990s and starred Jack Davenport (Smash) as Detective Sergeant Michael Colefield, who's unwittingly thrust into the nightmarish world of vampires when his best friend Jack (played by a Pre- True Blood Stephen Moyer) disappears on the eve of his wedding to Kirsty (Collette Brown – Doctors, Holby City). His investigation leads him to uncover a secret Government organisation that hunts vampires, and Jack has become one of the hunted. Michael reluctantly joins the team which includes a soldier Vaughn Rice (Idris Elba – Luther, The Wire) scientist Angela March (Susannah Harker – Waking The Dead) and a Catholic priest Pearse J Harman (Philip Quast – The Devil’s Double, Clubland). The series will be available on a special 2-disc DVD set from 22 April and contains a retrospective "making-of" documentary as an extra. Not strictly horror, more of a dark crime thriller, but I'm sure many will be interested in seeing this. So checkout the trailer for "Side Effects" starring Jude Law, Rooney Mara and Channing Tatum. Silent Hill : Revelation comes to UK disc. SILENT HILL: REVELATION comes to UK disc this March. Based on the groundbreaking survival horror video game franchise, this is the sequel to the hit film SILENT HILL, which took nearly $100 million at the worldwide box office. For years, Heather Mason (Adelaide Clemens, X-Men Origins) and her father (Sean Bean - Game of Thrones/Lord of the Rings) have been on the run, always one step ahead of dangerous forces that she doesn't fully understand. Now on the eve of her 18th birthday, plagued by terrifying nightmares and the disappearance of her father, Heather discovers she's not who she thinks she is. The revelation leads her deeper into a demonic world that threatens to trap her in the nightmare of Silent Hill forever. Directed by Michael J. Bassett (Deathwatch), original cast members Sean Bean (Game Of Thrones, Lord Of The Rings), Deborah Kara Unger (The Game, White Noise) and Radha Mitchell (The Crazies) return, along with Adelaide Clemens (X-Men Origins) and Kit Harington (Game Of Thrones) as well as Carrie-Anne Moss (The Matrix, Disturbia) and Malcolm McDowell (A Clockwork Orange, The Artist). SILENT HILL: REVELATION is available on DVD, Blu-ray, 3D Blu-ray, Steelbook and download on 18th March 2013. If you live in the Lincolnshire area, or you don't mind travelling, the old Ritz Theatre in Lincoln will be showing Sam Raimi's "Evil Dead Trilogy" over consecutive weekends this March. These are "special" charity screenings in aid of the Ritz Theatre Restoration fund. The "Warehouse of Horror" season kicks off Saturday March 16 with Sam Raimi's "The Evil Dead". "Evil Dead 2 : Dead by Dawn" will be screened the following weekend, on Sat March 23. The season concludes with "Army of Darkness : The Medieval Dead" on Sat March 30. The film start times are 10pm. Places are limited to 300 seats, tickets can ONLY be purchased online in advance through their website, as they will not be available on the door (see links below). The theatre is still in the process of being restored, so if you can make any of these dates, and fancy seeing these classic horror movies in a semi-derilict theatre and want to support a worthy cause, get on down. Fancy dress is optional, but highly recommended. (the lower half of the old theatre has been converted into a Weatherspoons pub for those who fancy a drink beforehand).